One thing with board games going to a digital medium is that new versions of the game can come out that have new skins and new mechanics and such relatively easily. Such is the case with Nomad Games' upcoming version of Talisman, which will take place in the grim darkness of a future of only war. 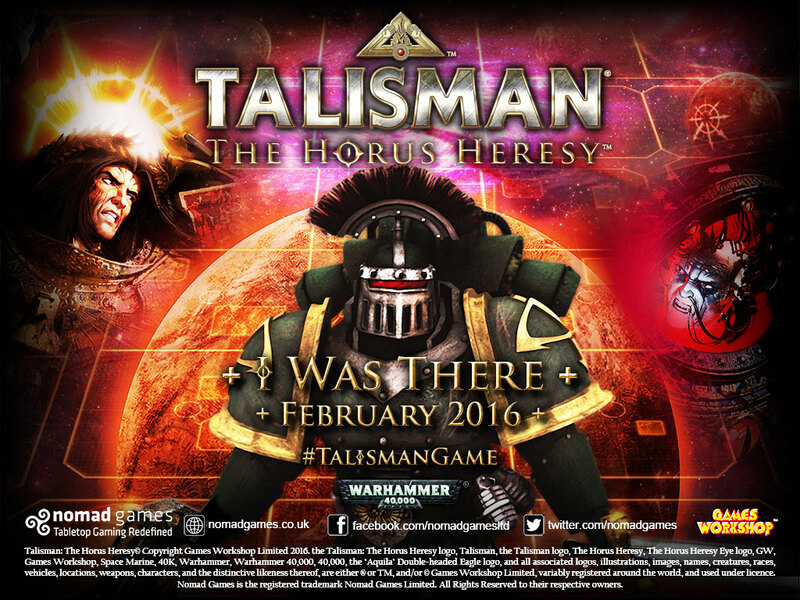 That's right, there's going to be a The Horus Heresy version of Talisman. In the game, up to four players can battle as either the noble Space Marines or the traitorous Horus, as he wages his bloody civil war against the Imperium. You'll have vast resources under your control, from battalions of tanks, to entire fleets of spaceships, and legions of loyal troops. Pre-orders will come on the 26th of this month with the release coming in February.